The CANM8 CANNECT START-STOP DISABLE is a CAN Bus interface designed to automatically disable the “Start-Stop” function on vehicles where this feature is not desired. Each time the vehicle engine is started, this interface automatically disengages the “Start-Stop” control so that manually overriding of the function is not necessary. The “Start-Stop” function can be re-instated by the driver at any time during the journey as desired but will automatically cancel again the next time the vehicle is started. 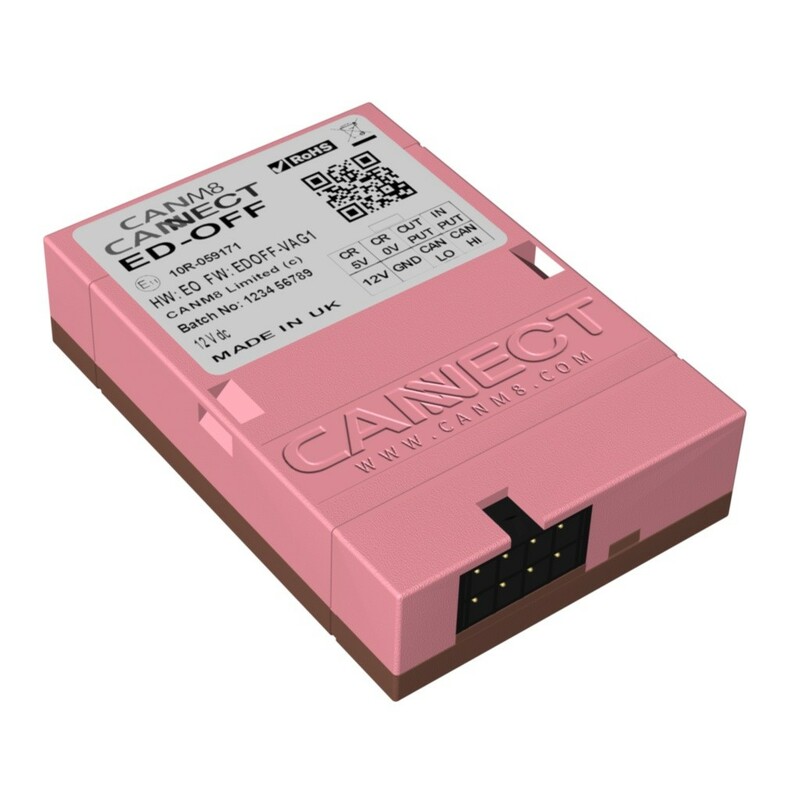 The CANM8 CANNECT START-STOP DISABLE interface is extremely popular with refrigeration and temperature controlled vehicles. Many refrigeration transportation companies suffer from the engine cutting out when the vehicle enters “Start-Stop” mode, which in turn shuts off the power to the temperature controlled storage at the rear of the vehicle. This poses huge problems as these systems require constant power during transportation to keep them at the desired temperature. By installing our START-STOP DISABLE interface, this completely eradicates this issue and has proven to be a huge success amongst existing customers. Most “Start-Stop” systems incorporate a manual override control, but the specification for special vehicles may often require the override to be an automatic feature. Most vehicle suppliers are not able to offer this facility as an option. Our Start Stop Disable Interfaces are currently compatible with the following vehicles. You will notice that there are two lists, one for START-STOP DISABLE and one for START-STOP DISABLE (POWER). This product is suitable for those vehicles listed under the START-STOP DISABLE heading. If your vehicle is listed under the START-STOP DISABLE (POWER) heading, please click here to purchase this unit as it is a different version of hardware. Although the functionality is the same, this is a completely different product so please note the difference in the installation instructions. However if you do not see your vehicle listed, please get in touch directly as we may still be able to provide a solution for you. The CANM8 START-STOP DISABLE interface will automatically disable the vehicle Start-Stop system. For some vehicles, you only need to connect the CAN Bus wires and the unit is able to de-activate the Start-Stop system via CAN. Other vehicles require the physical connection of an input and an output wire to turn the Start-Stop system off but these are clearly labelled on the installation instructions that will be sent with your product. The interface incorporates a multi-function status LED, which indicates the status of the vehicle Start-Stop system. Flashing Red: Vehicle CAN Bus data detected. The START-STOP System on the vehicle is active. Flashing Green: The START-STOP System on the vehicle has been de-activated. Wiring > Please ensure you use the correct wiring harness as shown. N.B. The Pink and Brown wires are not always connected. Please refer to the installation instructions supplied with your product for vehicle specific instructions.